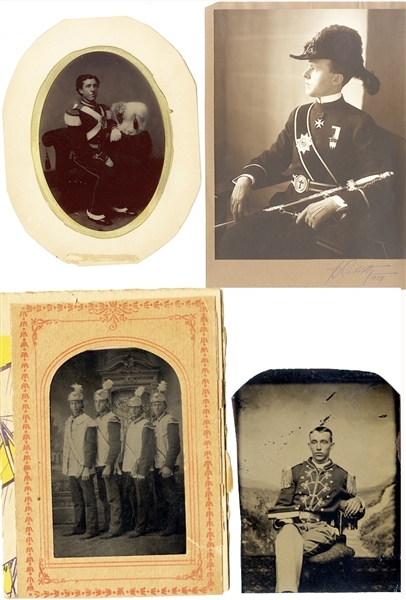 Group of three tintypes and one sepia tone photograph of military men. One tintype is full plate, the others 1/8th plate. The sepia tone is 7-1/4”x9-1/2”, signed and dated 1914. All very good condition.